How much tea do you drink a day? Have you ever calculated how much tea you will drink in your life? Well the people over at Philips have done it for you. After they surveyed UK tea drinkers, they figure that the average person will drink 88,088 cups throughout their lifetime. It breaks down to 1,452 cups a year, 121 a month, or 4 a day. Why’d Philips want to figure this out? Well they have energy efficient kettles and want to show us just how much greener we can be if we use them. They also found that 10 % of tea drinkers always fill to the kettle to the top – wasting energy to heat all that extra water they don’t need. I average 3 cups a day and only fill the kettle a quarter of the way if I’m just making tea for my husband and me. At work, the kettle gets filled all the way since other people will eventually come by and need the water. So I think I’m doing okay on the energy savings. So how many cups a day do you drink – and do you fill the kettle to the top? Found this on Flickr – a kettle made to look like a British ship. 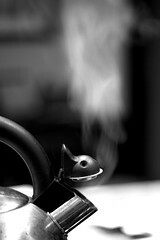 Kettle on Flickr – Photo Sharing! What tea should you have with pumpkin pie? Today is Canadian Thanksgiving and we’re having pumpkin pie for dessert. But what kind of tea should be pair with it? The tea would have to stand up to the rather strong flavors of your typical pumpkin pie, but it should also complement them. Flavors that I think typically go with pumpkin pie are vanilla, maple syrup, cinnamon, ginger, nutmeg, cloves, and maybe even cranberry. So the tea should probably feature at least one of these. With that in mind, here are my picks for tea that could potentially go with pumpkin pie – what’s yours? 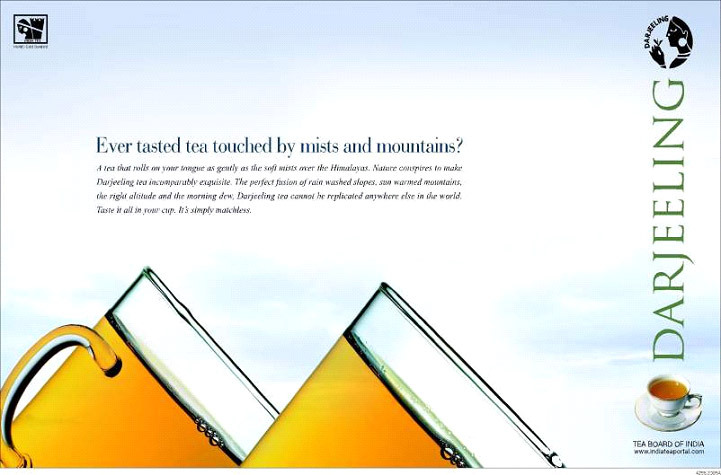 Did you know Einstein discovered the Tea Leaf Paradox? Ever wondered why tea leaves gather at the bottom of your tea cup? Einstein did too, especially since they didn’t follow the laws of centrifugal force. Newsday.com has a nice article that explains it all. According to Einstein, the leaves’ motion reveals the circulation of water in the cup. Stirring makes the water spin around a central axis, and spiral out from the center. But the water down below is slowed by friction with the cup’s bottom; its spin is weakened. The rotation difference creates a circulation system in the cup: Water at the top, strongly spun outward, travels down the wall and across the cup’s bottom, and then flows back up the central axis. What’s the best travel tea kettle? We’re coming up to travel season, and unless you’re in Britain or Ireland, that means trying to make your morning cup of tea in hotel coffee pots. Yuck! No matter how much you clean those plastic reservoirs, they always make the water taste like coffee. If hotels just used electric French presses, we tea drinker wouldn’t have to endure coffee-laced water. But until they do, our best bet is to bring a travel-sized electric kettle with us. Here are a few that you can get. The one with the best reviews seems to be the Travel Water Heater by Design Go that can be used in both Europe and North America. And if you just care about portability and want to stick something into a mug a water to heat it up, the Nordic Water Heater is probably more your cup o’ tea. You’ll just have to keep an eye on it to make sure you don’t burn the hotel down. In between those extremes, you’ll find travel kettles that can plug into your car or take up minimal space in your suitcase. 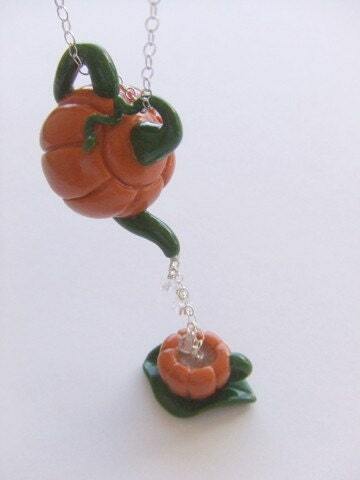 Pumpkin spice teapot necklace by LycheeKiss – cute! With Canadian Thanksgiving on Monday and Halloween right around the corner, this necklace is just in time for the Fall holidays. With an 18″ silver chain and pumpkin teapot and cup made of polymer clay, it’s a steak at $25. LycheeKiss also has some incredibly cute silver service necklaces that I wouldn’t mind getting for, oh say, a birthday. She doesn’t only make tea-themed necklaces, but they’re my favorite in her shop. Darjeeling has been called the champagne of teas and puerh the wine of teas, so what better cup to serve them in than one that looks like a wine glass. I saw these for the first time last year at the gift shop in the Centre Georges Pompidou. I’m sure if you’re crafty and have the right tools you could make them yourself, but I’m a little wary of chopping a glass in half and soldering it onto the bottom of a tea cup. If you know of an easy way to recreate these without risking embedded glass shards, cuts and burns, let me know.